Hope you all had a lovely Easter. Sorry I had nothing of note to post. It's difficult keeping our heads above water right now, what with my father-in-law battling cancer, our water heater breaking and leaking all over the basement floor and our upstairs bathtub deciding to join the party and drip into our living room. Re: the water heater, that's been replaced and so far all's well (save the bill). The bathroom has been completely ripped out (it needed it, anyway, as the decor was decidely 70s modern – Far out!) and it's down to bare walls and plywood flooring. The potential, the potential, yes that's already going through my head. Eighteen years of looking at that dog vomit yellow were eighteen years too many but other, more crucial projects kept getting in the way. The family room needs painting as well but may just have to hold out a while longer since the kitchen is in more serious need, what with the scratches on the sliding door trim, courtest of a certain two dogs, who shall remain nameless. Then there are the marks on the wall, which happen to match up perfectly with the tops of the kitchen chairs. Sounds like a case for Sherlock Holmes. Right now it's that sort of seafoam green I associate with Martha Stewart (in fact, it's from her line of paints) and goes beautifully with the cabinets (birch), countertops (dark granite) and appliances (stainless). It was all the rage in the early 2000s, before Martha was sent up river for insider training. Whatever I choose will probably lean toward pastel again. Maybe a blue? An updated yellow? The mind boggles. Since we probably aren't going on vacation this year, between worry over leaving the area too long and the need to conserve money since my daughter's starting college this fall (scream here), I'm thinking about taking a week's worth of vacation to repaint the kitchen. What larks, Pip! And what a wonderful way to spend my time off. I'm sort of a slob when it comes to painting. I lack the crucial "painting along the top of the wall/below the ceiling" gene. I can do walls, around woodwork and other things. But that ceiling line… I have shaky hands naturally, probably related to the fact my fight or flight sensor is set to Code Red. Every, single time I paint I get a ceiling line that looks like an EKG report without a single flatline. But ne'er mind all that. Let's shift to what I'm reading, which is becoming completely out of control again, SURPRISE. 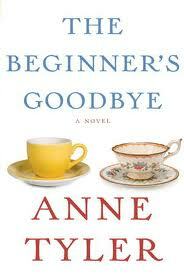 First, Anne Tyler's latest The Beginner's Goodbye. I'm not a Tyler fan and I've felt inadequate about it a long time. 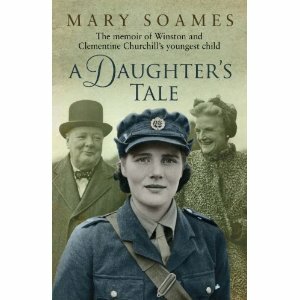 Yet, nearly every time she comes out with a new book I'm all over it. Such is my utter determination to like something she's written, dammit! In the case of her latest, so far it's actually not so bad. Not great, but, as some critics are wont to say, "readable." A more back-handed compliment's hard to find but I guess they mean it well. TBG is about a new widower who, in his great sorrow, is trying to get his life back in order after the loss of his wife. I know from reading the blurb he's going to start seeing his late wife everywhere, so that's no spoiler. Guess I haven't gotten that far quite yet, though I'm just over the mid-point. Anytime Tyler's ready to let that start happening is fine with me. "Nothing about him suggests we’re in the company of a 35-year-old in the early 21st century; he seems dustier than the 60-year-old in “Noah’s Compass.” “That tickled me no end,” he tells us when he hears Dorothy talking. Confronted by an angry colleague, he exclaims, “Goodness.” Seeing his dead wife standing in the street, he says, “Dorothy, my dear one. My only, only Dorothy.” "
The novel's occasionally quite funny and tells a story of universal appeal but beyond that it's really quite superficial. I'd classify it a "beach read," or at the least a summer or book group. I'll probably forget it as soon as I close the cover. As entertainment it's not a total waste of time. It does that quite well. "Even die-hard fans of Tyler’s work should probably let this one float by." Err… I'm not a fan to begin with. That's not very good news, now, is it. "Idiocy, that's what we have in common. Our friendship is founded upon our limitations, we agree, and doesn't travel far from them. We're full of joy, W. says as we walk back from the supermarket, that's what saves us. Why do we find our failings so amusing? But it does save us, we agree on that; it's our gift to the world. We are content with very little: look at us, with a frozen chicken in a bag, and some herbs and spices, walking home in the sun. The gift of laughter, I say – 'The gift of idiocy,' says W."
"It is near to the end of days, shortly before the appearance of a "stupid Messiah". Two British men, employed somehow in academia, muse on their lack of success and incapacity for real thought while drinking too much gin. "We are Brod and Brod, we agree, and neither of us is Kafka." Sometimes they travel to a conference, and drink too much there instead. One of the friends insults the other with spectacular, relentless cruelty. The insultee also has to deal with a damp problem in his flat that gradually assumes apocalyptic proportions of sweating metaphor." This is a very well-written book by an assured writer. It's just that I'm a depressive to begin with and nothing here makes me feel any better. Not that it should but, at the least, I'd like there to be a reason for all the downer, dark comedy and not just show-offy "look how smart I am" quips. "…not something that Americans generally appreciated. A lot of the American reviews seem to have missed the point!" I can't comment back to him either way, since comments on the post have already been closed, drat it. It's true we in the States often don't get British humoUr and vice versa I assume. I tend to adore it, that dry sort of wit, and in fact it's my own style. But even I run up against a wall now and then. Maybe I've done that here? I'll give it another go before I throw my hands up in despair. 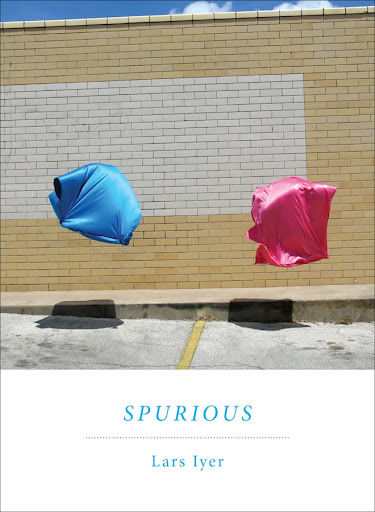 Compelling, if a bit over-written at times. Late night, pre-sleep Kindle read. Funny, funny and more funny. Free Review Book for bookgroup moderation at BookBrowse.com. 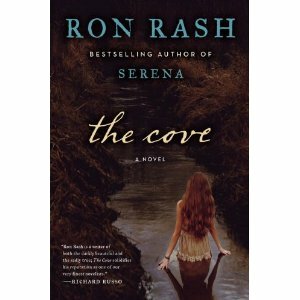 Another Kindle read, for Classics Book Group discussion at my library. Free review book. Compelling ideas I, so far, agree with. Carry on! As you were.